Firefighters of Cambridge describes vividly what it was to be a firefighter in this period; from the excitement of fighting fires and extricating people from road accidents and other emergencies, to daily life at the station, working and not working, moonlighting after hours, the mess, the sports and social club, the camaraderie, the conversation and the sense of humour. 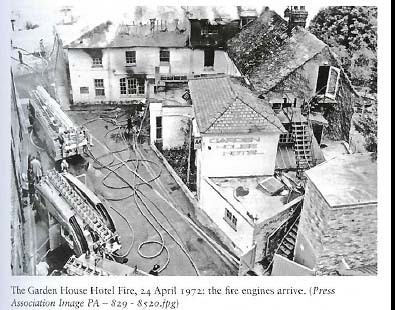 The book also focuses on the work of the Fire Brigades Union, culminating in the Cambridge response to the union call for the national strike of 1977-1978, and finally the decline of the 'military society' of firefighters in the decades that followed. 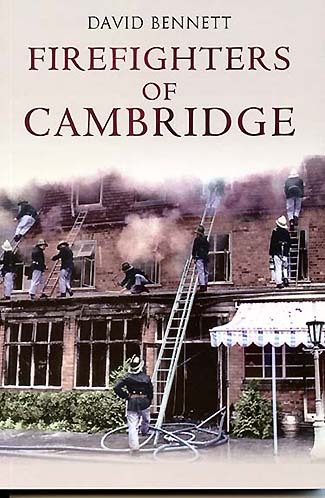 Based on David Bennett's own experiences and observations, and those of his fellow firefighters, Firefighters of Cambridge is a rounded, honest and illuminating account of life on a busy fire station from 1951-1981. The preface to Firefighters of Cambridge is by Nigel Crisp, formerly Permanent Secretary of the UK Department of Health, and Chief Executive of the National Health Service. The author has the storyteller's ability to take the ordinary fabric of life and, with a few well chosen words, turn individuals into semi-mythical figures and events into the stuff of legend. People become characters we can all recognise, and events become universal symbols. Throughout, he has used examples and direct quotations and shows how what one can only describe as a continuous stream of humour or 'piss taking' is used to cut authority and fellow workers down to size....It is also, quite simply, a good story. David Bennett was a firefighter at Cambridge Fire Station from 1972-1977. He has since emigrated to Canada and is the author of A Magnificent Disaster: The Failure of Market Garden, the Arnhem Operation, 1944, and Northern Exposures on Labour activities in Environmental and Health concerns. ...John Mallon, the Divisional Commander, had by now arrived and took charge. He took off his helmet and used it to smash a window on the ground floor at street level. Rodney did the same but what he hit was a form of double window with the second pane a few inches from the first. He cut his hand badly and was taken by police car to hospital, where he had eleven stitches. Mallon told me to take the jet that had been used in the basement and I pushed it through one of the smashed windows. The working life and the social life of a fire station were impossible to separate. Skiving (pronounced skye-ving) is a case of not-working, itself with a strong social dimension. Skiving is not doing what you are supposed to be doing. Within the confines of the station, you could be in the wrong place at the right time, the right place at the wrong time, or the right time at the right place doing the wrong thing; or doing nothing when you are supposed to be doing something. There was only one general rule of skiving: the safer the place to skive, the harder it was to escape from it in the event of imminent detection. The more obscure a place was, the more it tended to have a single way in and out. The most important thing about a place to skive was that it should be within the sound of the bells. There were a few odd places on the station which would be ideal but for the fact that you could not hear the yard bells, and there was no tannoy loudspeaker within earshot. Next, it should be warm and comfortable. From the seats of the reserve fire engines in the back garages, you could see the yard and the rest of the station without being seen yourself, just right for a smoke and a chat, though a bit too cold in the winter.